OK — so, you only have a limited time on Kauai, and you’re wondering what activities to book. Should we go horseback riding in Poipu or kayaking on the Wailua River? 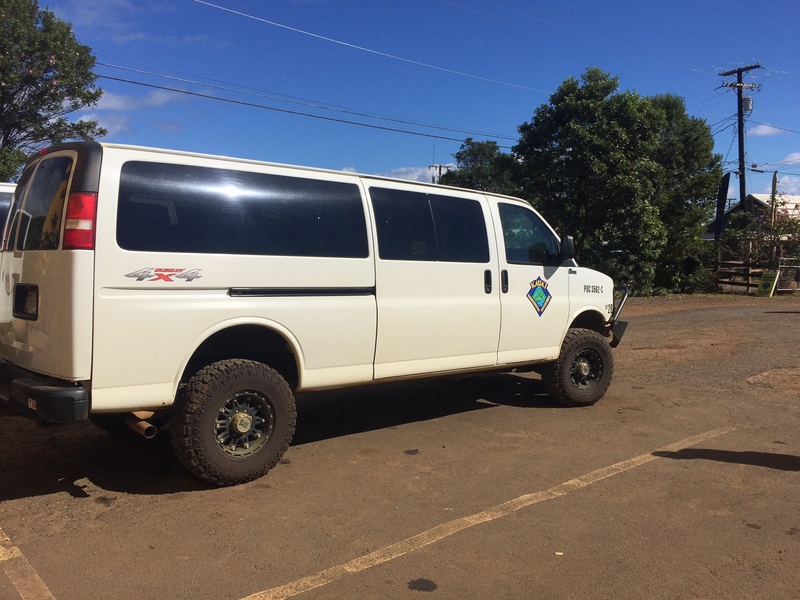 Should we relax at Salt Pond State Park or rent a 4 X 4 and go exploring? I get it — there are so many things to do, it may be difficult to narrow your choices to just a few. 1. The Ride Into the Rainforest: After you gear-up at the company’s headquarters, you’re whisked away by van to the launch site. The entire trip to the site takes about 45 minutes, but you learn an awful lot during that time! Our friendly guide, John, knew loads of information about the area, which used to be a sugar cane plantation. During your ride, you can ask questions and find out about the area’s history and diversity. Along the way, you’ll also stop at a beautiful, scenic overlook for photo ops. 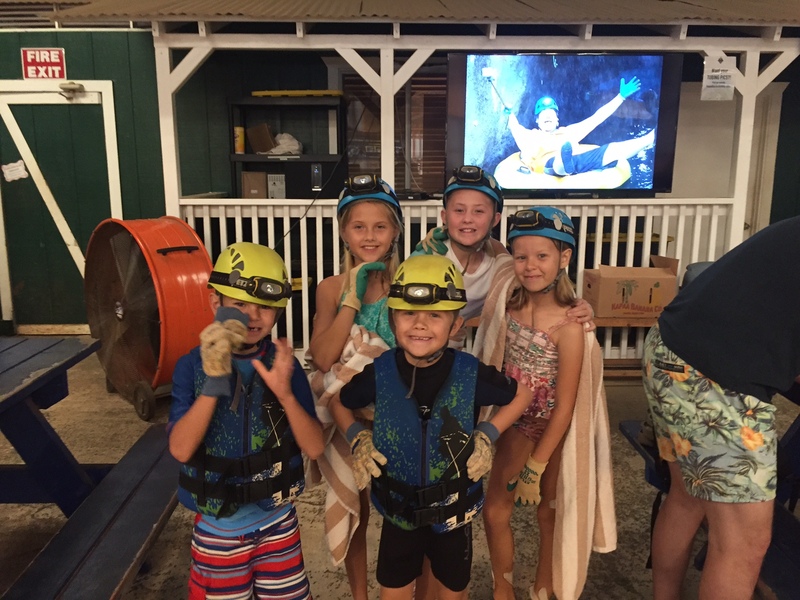 Our family had a great time at Kauai Backcountry Adventures. We were outfitted with helmets, lamps, and gloves before our excursion. 2. Quality Equipment: Sure, the tubes, helmets, and gloves were a bit banged-up. But, nonetheless, I could tell the equipment was high quality, which made me feel safer as I took the “bumpy” ride. Our guide told us the tubes were made out of PVC plastic, which made them especially durable. Trust me, as you’re bumping into the side of the irrigation ditch, you’ll be glad your tube is durable! 3. The Speed Was Just Right (for us, anyway): Have you ever been on a ride that seemed too fast/too slow, and it ruined the entire experience? During our ride through the channel, our party found the speed “just right.” There were a few places where you felt you were whipping along at a good clip. That would often be followed by a slower current, where you could just relax. The rapids were small, but comfortable. Even my 7 year-old had the time of his life! 4. The Scenery and History: The five irrigation tunnels through which you’ll travel were actually dug circa 1870, and you can feel the historical significance of the area as you float through the channel. It was really interesting to learn about the workers imported here to dig the channel and tunnels, and during the ride, you can certainly see what backbreaking work it must have been. During one tunnel, our guide asked us to turn off our headlamps and float in the dark. I could swear you can almost “feel” the workers’ spirits! Looking up, you can gaze at the amazing foliage blanketing the sky. Before hitting the flume, your guide will take you on a 45 minute scenic drive via van. 5. The Educated Guides: What made our trip especially fun were the guides — they were educated about the area and safety, but they also had great personalities and were friendly, too. During our trip, one of our guides even played the ukulele! As we glided down the channel, we learned all about the area, the tunnels, and the workers who dug them. The guides were full of useful information that I absorbed like a sponge. During our safety briefing, the guides made sure we had all our questions answered, and we felt we were in very safe hands. Mountain tubing on Kauai was, by far, one of the most memorable experiences we’ve had in Hawaii! So, grab your family, your wetsuit, and your sense of adventure — and, book a tour today!